I think we can all agree the full skirt is in style this season. I just had to find out what they were all about. So, I ordered this faux leather diamond pleated skirt from Chicwish. I don’t know how much layering you can really get away with due to all abundance of material in the skirt. I think adding a light weight blazer is the extent of it. It works best with just a simple shirt tucked in. As with styling most outfits, you want to create balance. If you’re going to wear something bulky on the bottom, try and keep it fitted or tight on the top. If you want some other ideas on how to style a full skirt, read this article that Who What Wear recently wrote. 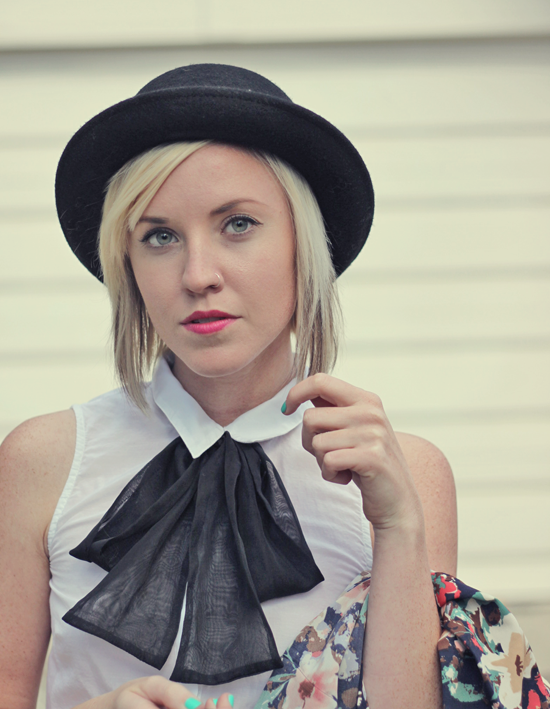 If you’re still not sure on how to wear them, look no further than style maven, Blair Eadie. Here are 3 ways she’s styled them 1, 2, 3. 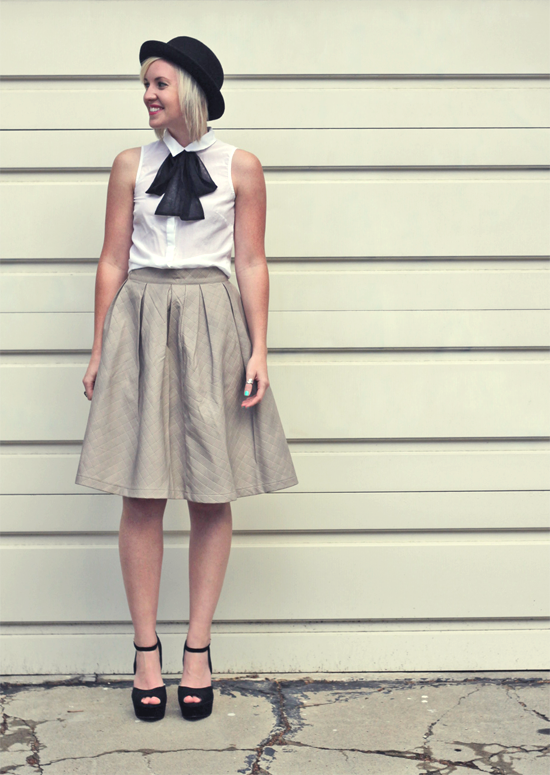 Full midi skirts are bang on trend this season and I’m loving yours here. 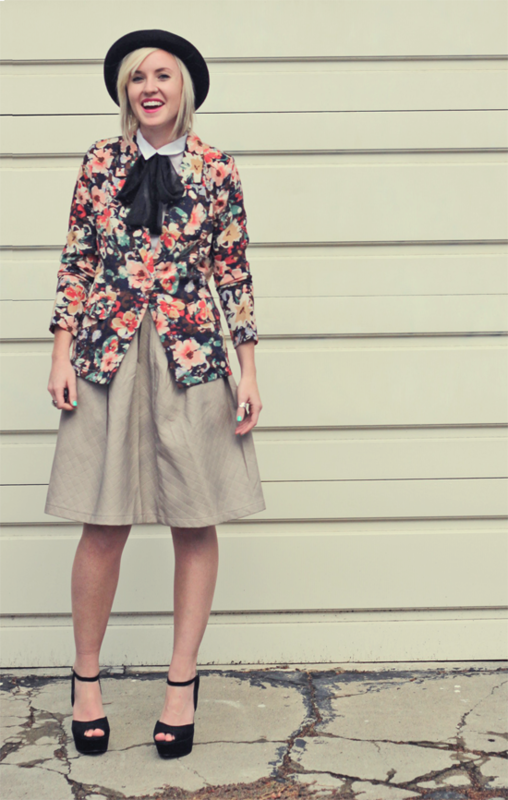 I like how you styled it with the floral blazer and the hat. Love your blog!!! 🙂 your style is so fun. I’m loving this outfit. Midi skirts are wonderful and you’re rocking this one! What a great fun look! 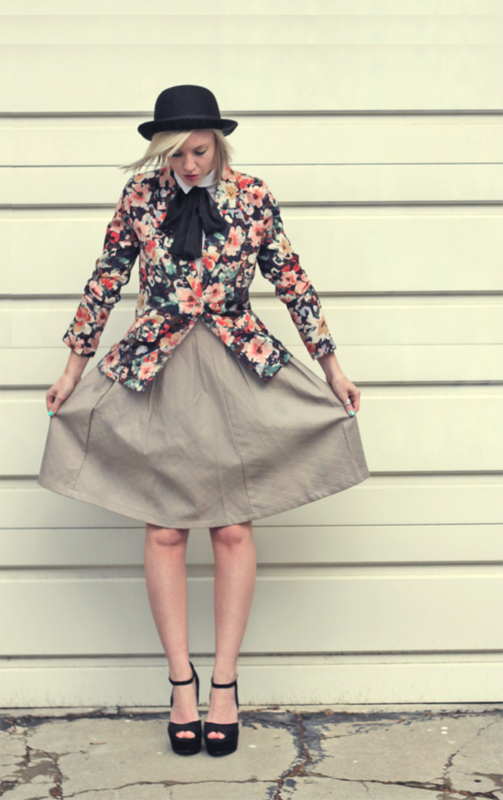 Love the blazer and a great full skirt! A really great look! I love everything about this look! The shoes and the floral print are amazing. 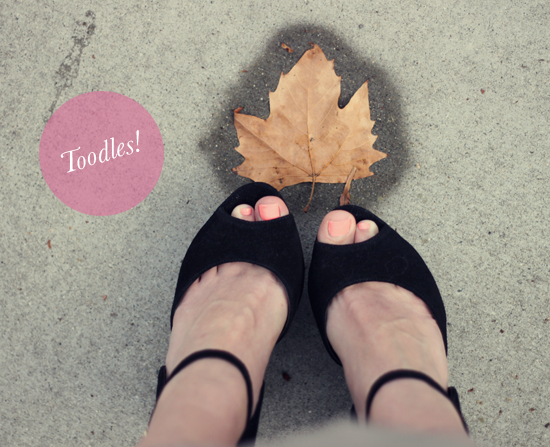 I am so glad to have found your blog! Great looK! The last photo with the leaf is great ! I must get my hands on this skirt !! !